Alastair Cook insists he and returning head coach Peter Moores will be free to forge a new England without undue influence from Andy Flower. 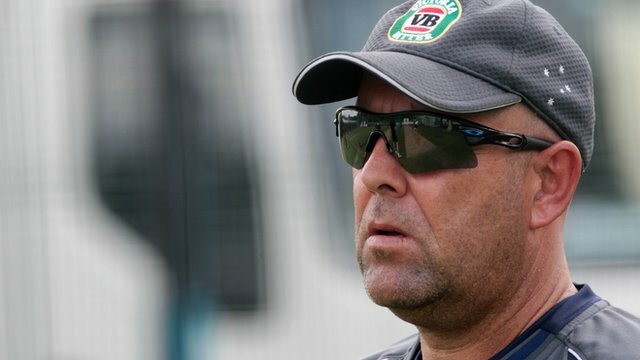 Moores, who was sacked from the same job in 2009 after less than two years in charge, will join captain Cook in attempting to reinvigorate a side that has limped to the lowest of ebbs this winter. The task in front of the pair is a sizeable one, with a raft of decorated senior players having exited the stage and a winter of dreadful results – including an Ashes whitewash – to put right. Celebrated alumnus of S. Thomas’ College Mt. Lavinia, cricketer, Neil Chanmugam (1940–2014) who passed away on the eve of celebrating his 74th birthday, first made his mark as a fresher in the Royal-Thomian cricket encounter of 1958. S. Thomas’ having been dismissed for a modest 192 runs was in danger of letting Royal amass a comfortable total but Chanmugam coming on first change dismissed 3 of the top 4 Royal batsmen with his wily off-spinner and restricted the Royalists from running away to a big total, and eventually the match petered out to a tame draw. Neil played for S. Thomas’ College in 1958 & 1959. Read the rest of this entry ? Dandeniyage Hemachandra de Silva, universally known simply as ‘DH’, passed away a few days ago in Melbourne, Australia, aged 81 years after a brief illness. His brothers ‘DP’, ‘DS’, & ‘DG’ too were outstanding cricketers. Without fear of contradiction, as a cricket theoretician who assiduously (and honestly) practised what he preached, I can claim, ‘DH’ has no peer. At a time when commercialism had not gripped the game of cricket, as it is today, here was a man who dedicated his time, expense – he was not endowed with endless riches either – and energy, to discover/help budding cricketers. His theory being : “ help a 100 players and you may discover one champion.” Well he did discover a champion in Daya Sahabandu. The former Royal College left-arm opening bowler later became a champion leg-spinner under the tutelage of ‘DH’, and was a tower of strength for Nomads Cricket Club captained by ‘DH’ . The captain, whilst fielding at leg-gully for instance, used to sometimes indicate to Sahabandu the bowler, with three of his extended fingers which stump to bowl at! It was not fun watching this charade if one was the non-striker. Read the rest of this entry ? 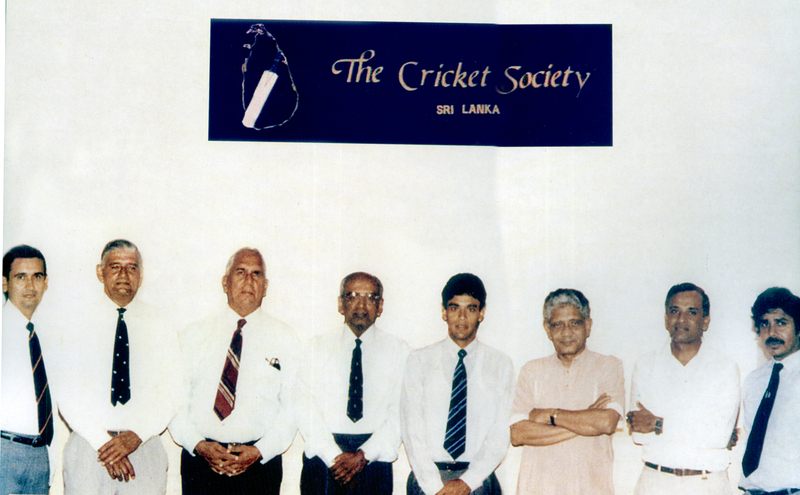 “For when the One Great Scorer comes to write against your name, he marks not that you won or lost, but how you played the game.” This line** was written by Grantland Rice, the American sports writer but has been Percy Abeysekera’s life story over 18 years; ever since he watched Arjuna Ranatunga’s side win the 1996 World Cup title. Since that glorious night, Percy, the most famous non-playing Sri Lankan at a cricket ground, has suffered heartbreaks at Bridgetown, Lord’s, Wankhede and Colombo as his team lost four of four finals at World Cups – 50 and 20 over cricket. But after his side broke the jinx by beating India in the final of the World T20 on Sunday, Percy had this to say: “Winning is not the only thing, it is everything.” Read the rest of this entry ? 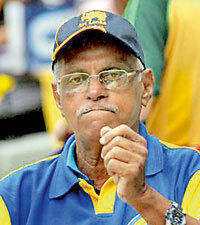 Former S. Thomas’ College Mount Lavinia, Tamil Union and SSC cricketer Neil Chanmugam is no more. He was 74 at the time of his death. After his retirement from cricket, he took to golf. 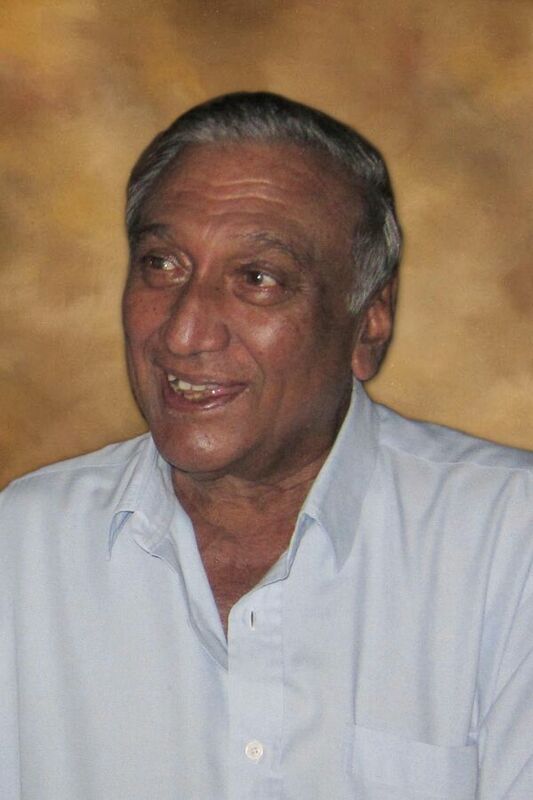 He passed away on Tuesday (22) and his funeral took place at the General Cemetery Kanatte, yesterday (24), amidst a large gathering of relatives, friends, former cricketers and employees of Maharaja Organisation, where he was Group Director at the time of his retirement. Read the rest of this entry ? You are currently browsing the Critiquing Cricket blog archives for April, 2014.